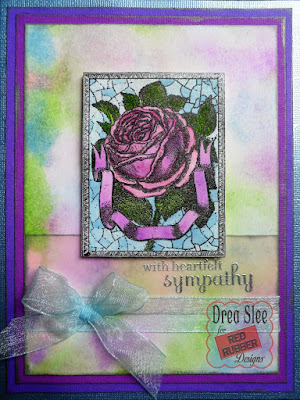 Unfortunately I had to make this sympathy card, but found the Abounding Rose Cling Mount Stamp to be a beautiful and serene image for the occasion. 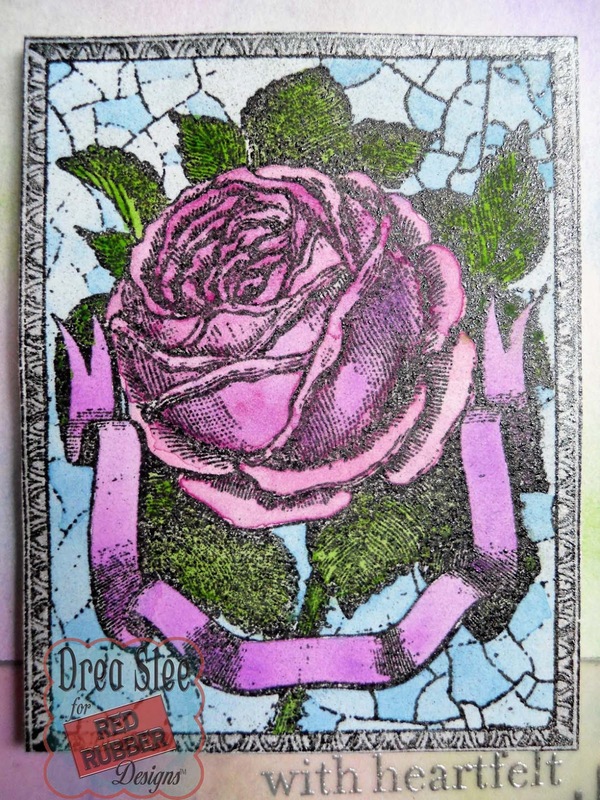 The cracks on the background remind me of stained glass, so I embossed the image and colored it with watercolors, using some pop dots to raise it up a little. I also embossed the sentiment using the Joyful Notes Unmounted Stamp onto a strip of pink vellum. Then I added some sheer blue ribbon across the bottom. 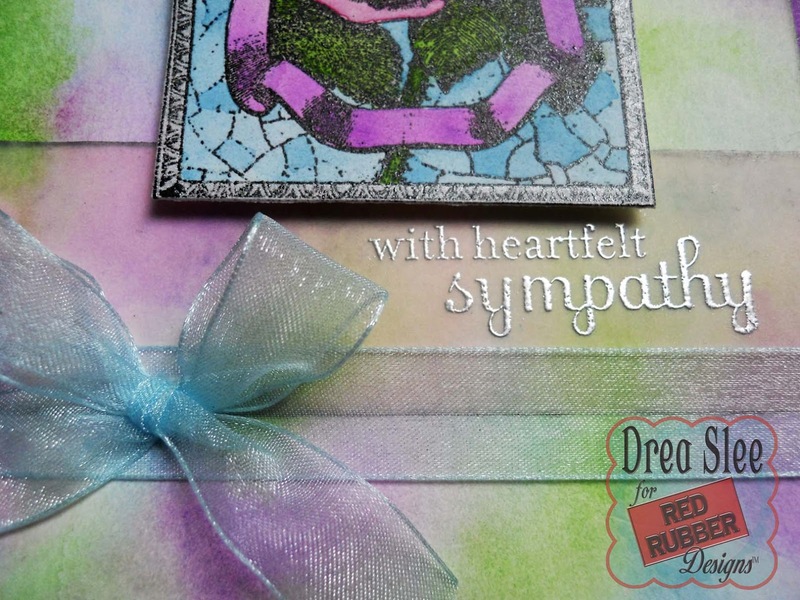 I used the same colors from my image to make the watercolor background, and backed it with some layers of cardstock. Such a lovely rose! Drea, you did a beautiful job with the background! The silver embossing is gorgeous! Wonderful card!